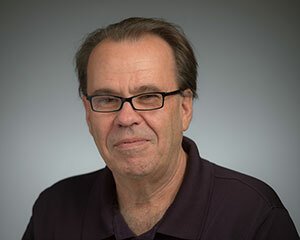 The notorious activities of the Ku Klux Klan nearly a half-century ago continue to exert an influence on contemporary American politics, according to Rory McVeigh, professor and chair of sociology at the University of Notre Dame. In an article forthcoming in American Sociological Review, McVeigh and co-authors David Cunningham and Justin Farrell draw on 40 years of voting data to argue that increases in Republican support were most conspicuous in southern counties where the Klan had been active in the 1960s, even taking into account other influences on voting shifts. In the article, titled “Political Polarization as a Social Movement Outcome: 1960s Klan Activism and its Enduring Impact on Political Realignment in Southern Counties, 1960 to 2000,” the three sociologists also report an analysis of individual voters that demonstrates how, decades after the Klan declined, racial attitudes predict Southern voters’ partisan leanings in counties where the Klan had been active. They also discuss the implications of their study for understanding political polarization in contemporary politics. Originally published by Michael O. Garvey at news.nd.edu on October 16, 2014.